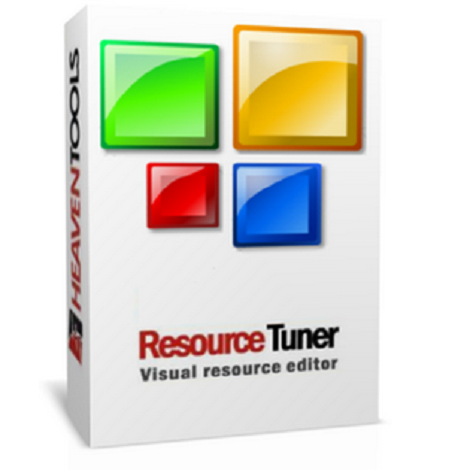 Download Resource Tuner 2.20 free latest version offline setup for Windows 32-bit and 64-bit. 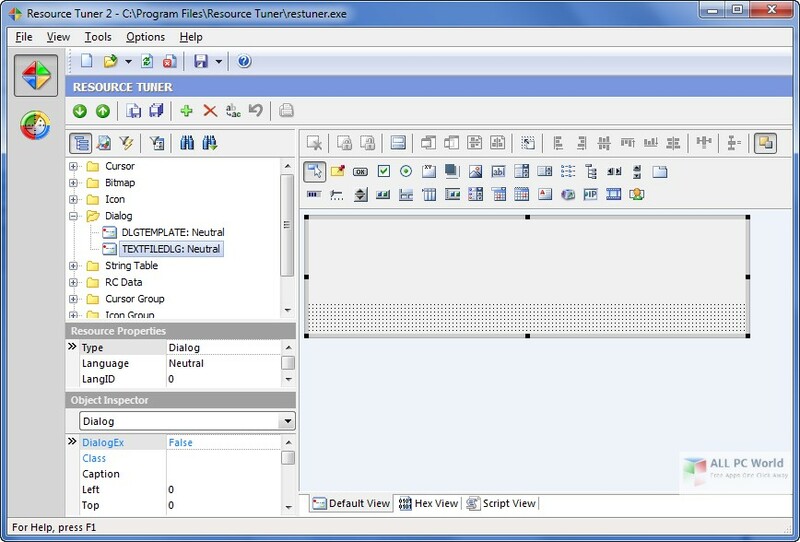 Resource Tuner 2.20 is a powerful application to manage and organize the executable files. 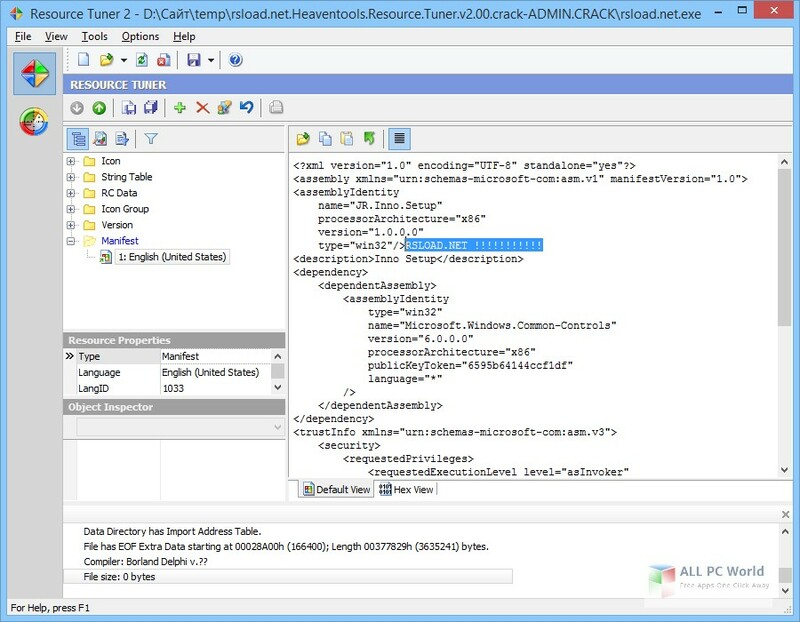 A powerful application to edit and organize the DLL and EXE files, Resource Tuner 2.20 provides a professional set of tools that allows the users to view and modify each and every detail inside an executable. Basically, an executable file and DLL file contains different variables and addresses along with icons, sounds, strings, menus and dialogs in binary form. This powerful application provides a reliable solution for the power users and supports customizing each and every aspect of the images. The users can edit, replace and delete different values in the executables and view different sources of a package. Moreover, it organizes all the addresses, text strings and a variety of other details of the executable files in a way that they are easily understandable. The environment itself is also customizable, the users can effortlessly change different settings and modify the location of the menus for making it even more easy to use. It also corrects the sources code of the PE and removes any conflicts without any hard efforts.